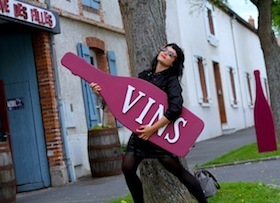 As any cultural product the wine is not foreign to the passage of time! Not always there has been drunk the wine on the same way along the history. Naturally that the passage of time influences decisively in the way of estimating it and of valuing it, this way is the human nature, in the Physiology of Taste of Antelmo Brillant Savarin, he remember us that “a certain taste maintained in the time ends up by producing his opposite”. Today a sector of consumers like the fruity and sweet wines, easier to drink. It is good to remember that always there will coexist on the market different niches of consumers that need different types of wines. Throughout the time and in times of recession, like in epochs of growth, or in times of calm, or in epochs of overproduction, the wine has suffered logical changes. The key is always and it always will be in the quality of the wine that being an too used affirmation and that the whole world repeats, we must contemplate it from the segmentation of the market in which the wine is directed and in which certainly, it will try to be better than its more direct competition. A good choice of the type of wine, of its positioning, it will facilitate us everything very much and we will have a lot of done this way. To sell wine first it is necessary to think over the type of wine we are going to elaborate, to think well the price of wine, and then calmly to position it and that it will be the own market the one that will guide us. All the wines should answer to the concept of wine of pleasure, since we elaborate wines to provide enjoyment and we request money in exchange. 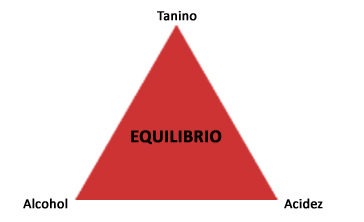 Because of this, any wine will have to fullfill with the essential triangle of the basic parameters: acidity, alcohol and tannin, the three will have to keep balance and proportionality, with independency on the segment to which we are going. Any imbalance or prevalence of one of three parameters on the other two does makes a faulty wine. A wine with many acidity (opposite to little body and little alcohol) is disagreeable for drinking. If it has alcohol in excess, but it does not have body (tannin) and scarcely acidity, it will be alcoholic. A wine with very much body (tannin) without scarcely acidity or alcohol, is a rough wine, like press wine or ¨vino de prensa¨. In any type of wine, these three elements will have to have an intensity and proportionate presence. 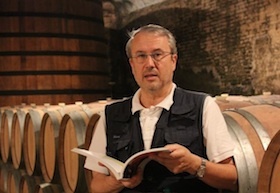 The degree of intensity of tannin, acidity and alcohol, it will depend, since a simple wine with balance is pleasant and the three elements show up in minor degree. 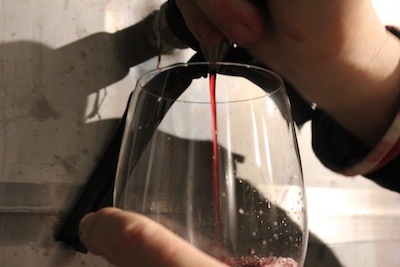 A great wine will have to have more alcohol, more body and certainly a good acidity. The harmony of these three elements makes possible that will result agreeable and pleasant when we taste it. All of this it is easy to say in advance, but very difficult to do it. We know that the key is in the quality of the grapes, from there the importance of controlling carefully the culture of the vineyard. Because of this we can say that there is nothing more valuable than the soil on which our vineyards are planted, as a determinant element of our work. We cultivate the vineyards and preserve them for the future generations. This it is the reason for which there are so much family enterprises around the sector, where the bets are always necessarily long-term. Everything else it is irrelevant, they are accidental elements. Many persons defend with too much determination, as a vital thing, the choice of a type of cork or screw cap; or the type of packing: glass, aluminum or bag in box; pontificating in how to drink it, on its own, or mixed with soda, coca cola, seven up or on the rocks. The key is always in the quality of the wine in yes, that is the essential thing. We believe in the freedom of each one in the choice of his pleasure, in this world there are too many defending Taliban of false essences!